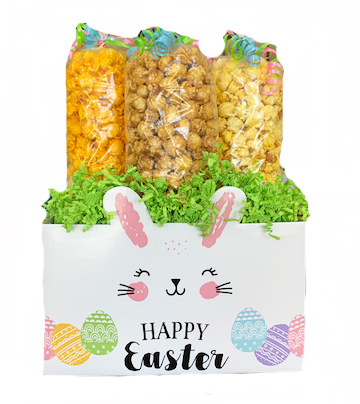 This cute little bunny gift box come packed full of popcorn. One 9 cup bag of the following flavors. Buttery, Real Cheese and Caramel. We finish off the gift in a clear cello bag and tie it with matching ribbons.